Members of BSB, *NSYNC and 98 Degrees will perform. ARE YOU SCREAMING YET?! Ah, 90s television. It was a time when Alan Thicke was the ultimate TV dad and nothing was more important than the Brenda-Dylan-Kelly love triangle. Genoa City and The Peach Pit may be things of the past, but RewindCon is reuniting the casts of your favorite TV shows at a three-day fan convention at the Hilton Chicago/Indian Lakes Resort in Bloomingdale, Illinois. 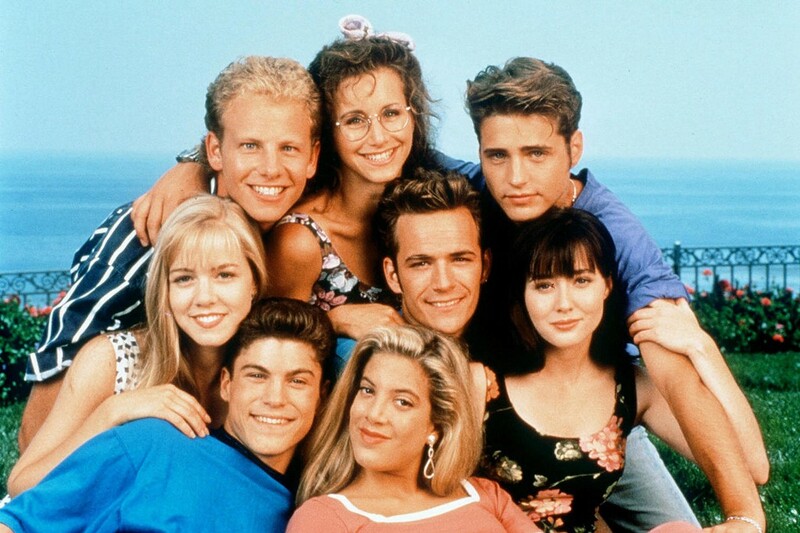 The casts of “Beverly Hills 90210,” “Melrose Place,” “Growing Pains” and more 90s TV shows will appear, along with 80s heartthrobs and members of your favorite boy bands. That’s right—for one blissful weekend, the clock rewinds a few decades. The nostalgia-infused convention is full of panels and interactive activities with the stars. On Nov. 11, guests can attend a Pre Con Prom featuring live entertainment with Chase Coleman. Panels on Nov. 12 and 13 include discussions with the casts of “The Young & The Restless,” “General Hospital,” “Beverly Hills 90210,” and more. And if you’ve been wondering what exactly Joey Fatone and Chris Kirkpatrick have been up to, you’re in luck—Nov. 13’s panel “Bodacious Boy Bands” will answer all of your questions. A throwback concert featuring original members of O-Town, *NSYNC, Backstreet Boys and 98 Degrees will take place that night. Purchase your ticket, starting at $57, here. A portion of the money will be donated to ROWW, Paul Walker’s nonprofit organization. There’s even a cosplay contest inspired by the late actor’s films, which you can find more about on RewindCon’s website. So pack your overalls, oversize tees and camera, because for this weekend, the golden age of boy bands and soap opera stars will live on. Be sure to follow along on OMGFacts’ Snapchat, “theomgfacts” for all the action!